OCEAN SPORTS DEVELOPMENT, INC., a privately held Florida-based corporation, is proud to hold the USA exclusive license to the patented Webber Surf Pool system invented and patented by two-time world champion surfer Greg Webber. The unique patented Kelvin wave drive mechanism and pool bottom will provide the perfect pipeline with numerous wave height and shape variations. Simplicity of design means we can make surfing pools in multiple sizes and shape configurations, including round, half-moon, straight, looped linear, and rectangular. The stadium sized looped linear and rectangular designs generate waves in four separate zones of the pool, thereby providing rides for the advanced professional surfer to the child novice without interference to any surfer in any other zone of the pool. 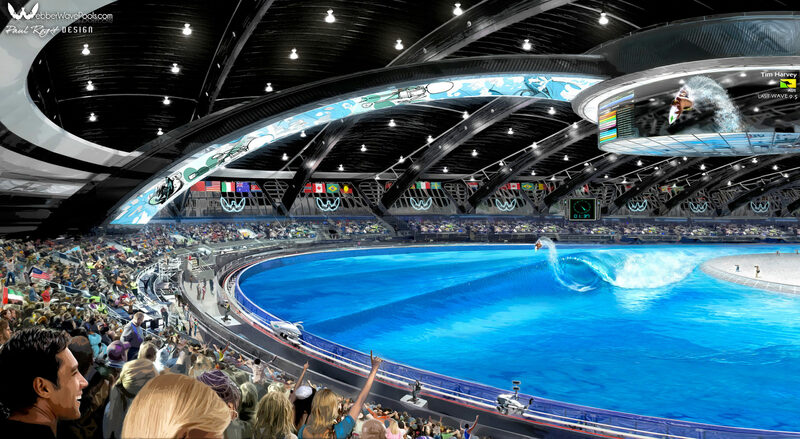 OSD acquired the exclusive rights to this wave pool technology in order to create the NATIONAL SURFING LEAGUE™ surfing park resorts across the USA and to help develop the sport of surfing as an Olympic and NCAA sport. The fact that we can create a world-class pipeline break on demand provides OSD with the ability to create unique sports television programming content. Our stadium resort locations make the proliferation of surfing possible by enabling municipalities, non-profits, high schools, NCAA, and the Olympics with the exact same training equipment which is economically feasible. Our group’s real estate, engineering, construction and operation experts will see your project through from site acquisition and custom pool design, to build-out, long-term management and league participation. Our technological niche and manufacturing expertise logically position Ocean Sports Development and the NATIONAL SURFING LEAGUE™ for long-term growth.